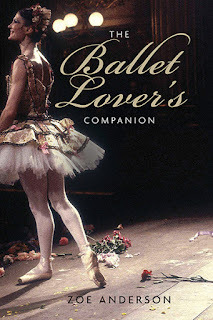 Dance Commentary by Heather Desaulniers: "The Ballet Lover's Companion"
If you have not yet purchased Zoë Anderson’s new book, “The Ballet Lover’s Companion” published by Yale University Press, order it right away. It is a must-have for your personal dance library. 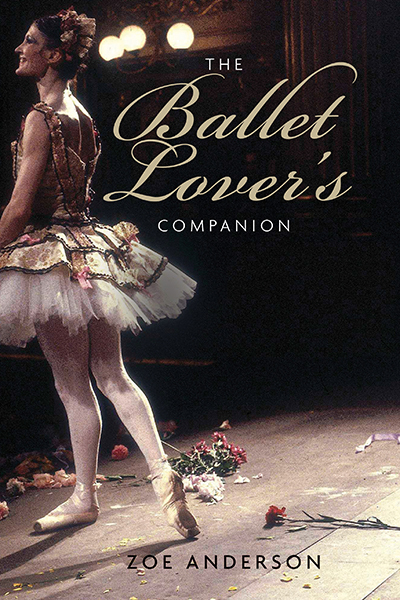 A literary work of winning form and structural ingenuity, “The Ballet Lover’s Companion” strikes the perfect balance between historic context and choreographic analysis. Anderson’s writing is vivid and vibrant, and most important, not overwhelming. Tomes that go too deep into the dance history often come up feeling a bit dry; Anderson provides just the right amount of detail. She follows up with astute (and witty) commentary on various ballets from the period in question and if called for, describes their evolution over time. Both parts are necessary for a project like this to be successful, and Anderson has delivered. If this book was just a list of ballets, it would be a dance encyclopedia; if it was just an account of the various eras, it becomes a historical anthology. In combining the two, Anderson has created something that is truly worthy of the term ‘companion’. And right from the preface, there is a rare combination of authority, acumen and humbleness in Anderson’s writing that is desperately missing from much performing arts discourse today. Take chapter two for example, titled The Romantic Ballet. In it, you get a clear picture of the era, the players, the scene (social, political and cultural) as well as what was happening in the world of classical ballet. Anderson explains that during this time of great development, rigidity was becoming passé, which led to an onslaught of experimentation, imagination and expression. She goes on to share how ballet saw these changes unfold in new narrative stories, different choreographic foci and novel fan-based trends. After this framing, Anderson pivots to specific ballet titles from the Romantic era; from the seemingly unfamiliar to those that remain popular today (Giselle, Napoli, Coppélia). And her ‘other stagings’ section for several of the ballets gives insight as to the work’s continual and more contemporary development. Anderson’s discussion of Filippo Taglioni’s 1832 La Sylphide included delightful references to Matthew Bourne’s 1994 Highland Fling and Nikolaj Hubbe’s updated 2014 version for the Royal Danish Ballet. Equally comprehensive and compelling coverage comes in the subsequent chapters. Imperial Ballet, chapter three, outlines how fluctuations in style and technique brought about still more changes to narrative themes. Her chapter on the Ballet Russe features engaging, thoughtful and educational research on Mikhail Fokine’s Les Sylphides, a personal favorite of this particular reader. Next up is the onset of National Ballets, a time Anderson notes was equally about creating a unique style as it was about community, identity and togetherness. Onto the journey of Soviet Ballet through the first half of the twentieth century and the worldwide star-power of The Ballet Boom in the second half of the 1900s. Then we arrive at the book’s last segment, International Ballet: Crossing Boundaries, which takes us into the present-day. This final chapter proves how needed Anderson’s “The Ballet Lover’s Companion” is. Similar volumes that outline and explain different ballets are readily available (though not nearly as well-written as this one is). But their publication year makes them incomplete. The field needed an updated source, and here we have it. And in these concluding sixty-three pages, Anderson is not only talking about how ballet crossed and continues to cross literal boundaries, but how, in the last three and a half decades, the line between traditional ballet and contemporary modern dance has become more and more porous. After a brief contextual statement, the majority of this chapter is dedicated to the dances themselves. First in the list is Jerome Robbins’ 1983 masterwork of youth, community and measured egalitarianism, Glass Pieces for New York City Ballet. The 1990s is represented by much historic choreography including William Forsythe’s The Vertiginous Thrill of Exactitude, which was first danced by the Frankfurt Ballet in 1996, and incidentally, was part of San Francisco Ballet’s most recent season. The new millennium brought Christopher Wheeldon’s After the Rain for New York City Ballet (2005) and Wayne McGregor’s Chroma for The Royal Ballet (2006) among many others. And Anderson wraps up her phenomenal publication with two works from 2014: Justin Peck’s Everywhere We Go for New York City Ballet and Benjamin Millepied’s Daphnis et Chloé for Paris Opéra Ballet. How perfect to end “The Ballet Lover’s Companion” with two of today’s most inspiring choreographic talents and two ballets that premiered only last year.